Do you need to rent a cheap car? Rent a Car in Ecuador – RentaMotors ¡¡We have excellent prices always!! RentaMotors – Rent a Car in Ecuador, is a company that provides car rental service in Guayaquil – Ecuador. Our wide range of comfortable vehicles and in excellent mechanical conditions, will make you have an unforgettable trip with your family and friends. In addition RentaMotors, along with an extensive network of associates nationwide, for which we have the most reliable people in the industry, our total commitment is to offer the best car rental service in Guayaquil. “RentaMotors” we are an authentic low cost agency in the country, offering cars and vans automatic suv vans for rent throughout Ecuador. Our quality of customer service nationwide, provides coverage and its lowest rate guarantee established as the undisputed leader in the car rental market in Ecuador. The objective of the company is to provide our customers with the best prices for car rental, which is why the company has created strategic business alliances to cover the demand throughout the country, the final reason being the ‘reduce’ costs and ‘ provide ‘a car rental service at a fair price. The most important thing with total satisfaction guaranteed throughout your trip whether for pleasure or business. In addition, we have decided to offer (and guarantee) the most economical prices. In other words, the cheapest in the car rental market, our rates also include unlimited mileage, as well as all insurance and taxes included. We are pleased to announce that RentaMotors is the only car rental provider in Guayaquil that works under the concept of “all inclusive”, so our customers will not cancel any additional value. ¿Get to know our Vehicle Fleet? 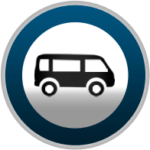 In RENTAMOTORS We have different kinds of vehicles for your comfort where you will find the best car rental service in Guayaquil. Only in RENTAMOTORS Rent a Car Ecuador you can find quality car of the year at budget prices. 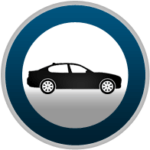 Car rental service in Guayaquil. We care for 24 hours. We always have Vehicles of the Year. We receive you at the airport. Make payments with: All credit cards, deposits. 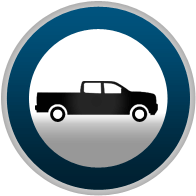 The rates for rental cars in Guayaquil with Free Mileage apply from the third day rental. Car rental weekend: at least 3 days. Rate applied km. Unlimited. Car rental prices are subject to change without notice. We offer special discounts for Ecuadorians living in the US at really cheap prices. For car rental in Guayaquil and vans Hyundai H1 please contact 48 hours in advance.